I प्यार Lucy. The Ricardos go to जापान. 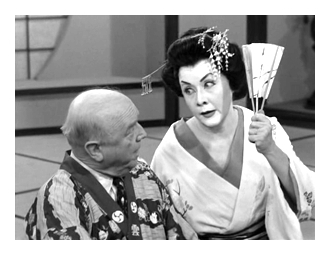 Wallpaper and background images in the I प्यार Lucy club tagged: i love lucy lucy ricky lucille ball desi arnaz ethel fred japan. This I प्यार Lucy photo contains क्लीवर, मांस क्लीवर, and हेलिकॉप्टर. There might also be ग्रीन टोपी, विशेष बलों, कुलीन सैनिक, हरे भरे, विशेष बल, हरी टोपी, and अभिजात वर्ग सैनिक.